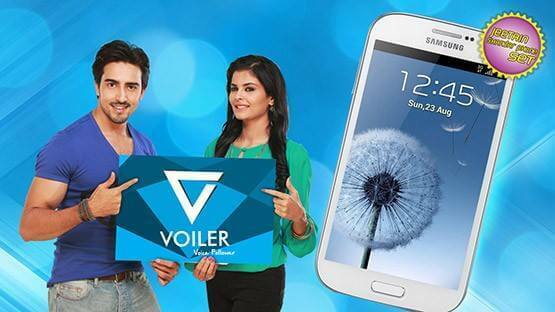 Telenor introduces an exceptional Voiler service for its valued customers. This is entertainment facility for subscribers of this network. Now you just need to activate this feature for connecting with your favorite facility by using it. It provides you opportunity for talk with your favorite personality of Pakistan after subscription this offer. As we all know there are many people of Pakistan who want to do some chatting with famous celebrity of Pakistan so now this is possible by availing this service. It provides a platform for keep collect information and knows about personal life of his/her favorite celebrity of Pakistan. There is many other telecommunication companies of Pakistan are also providing same kind of service of its valued subscribers but now this network is giving more exciting Telenor Voiler Service for its valued customers throughout in Country. This service is available all across in Pakistan and all type of cellular operators who are connected with this network can easily get avail an amazing offer for getting information of his/her favorite celebrities. This facility is available prepaid and postpaid customers and both can easily activate this offer without any issue. This telecommunication always introduces offer with affordable rates and it is also providing cheap subscription charges for using this service with one week validity. Now doesn’t matter where do you live, you just need to activate this feature for connecting with your favorite personality of Pakistan and get collect hobbies and many other things of famous celebrity of Pakistan. Juggan Kazim & Many More. All interested subscribers can activate this feature by dialing *345*7060# and press call button. The activation charges are RS 7.00 plus tax. Subscribers can de-activate this feature by dialing *345*7061#. This telecommunication keeps right to de-activate this feature at anytime without being informed of customers. This network reserves right to change charges and fees of this service without any specific notification. This service is available all consumers of this network.